J. D. Controls offers a range of Fully Jacketed Ball Valves. 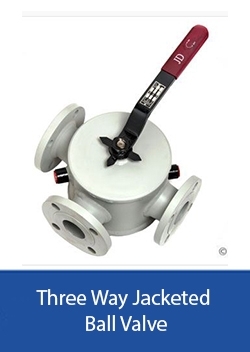 The jacket covers the body from one flange to the other flange. The body is modified by adding oversize flanges. As example: 2″ x 3″ Jacketed Ball Valve has the nominal bore of 2″ (DN 50) and the flange size is 3″(DN 80). It allows enough space for bolting clearance. The Jackets assure consistent valve Heating or Cooling of the process media to prevent crystallization or seizing of flow media. 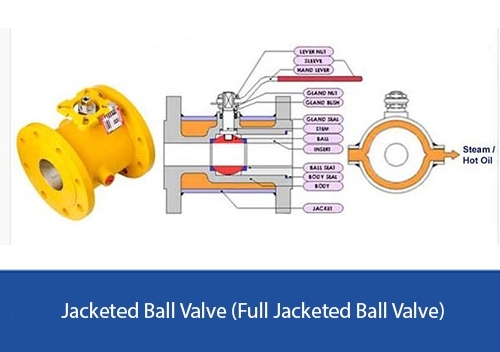 The Jacketed Ball Valve (Heating Jacket Ball Valve) with very well design to help the high temperature steam or oil flow over the valve ball & body parts to keep the media liquid. This applies especially to media like bitumen and liquid sulfur. In addition, the efficient flow of media is ensured through the elimination of pockets. J D Ball Valves are generally supplied with manual hand lever or gear unit operated, depending on valve size. J D also offering Ball Valves with either Pneumatic or Electrical actuator operated for automation. Generally standard Jacketed Ball Valves are delivered in carbon steel and different types of stainless steel materials. Other special materials are available upon special request. J. D. Jacketed P.T.F.E. seated Ball Valves gives Zero Leakage, Tight Shut-Off and Low Torque with easy smooth operation at temperature ranging from -20° C. to +220° C. Electro-Polished, Buff Finish & Ultra clean valve also provided for Food & Pharmaceutical Industries on request. 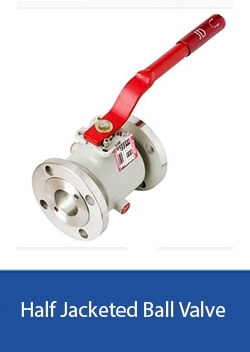 J D Ball Valves are also available with different type of Seat, Seal & Packing material such as P.T.F.E. (Virgin) / Glass Filled P.T.F.E. / Carbon Filled P.T.F.E. / Graphite (Grafoil) / PEEK to suit special requirement of client. Need More Info. or Advice?